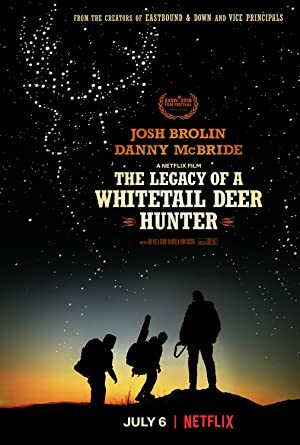 The Legacy of a Whitetail Deer Hunter (2018) – What's New on Netflix Canada Today! The great hunter Buck Ferguson (Josh Brolin) and his trusted cameraman Don (Danny McBride) set out for an epic weekend adventure to reconnect with Buck’s young son (Montana Jordan). Sixth-grader Jaden goes on a hunting trip that’s meant to be a bonding experience with his father, even though it’s the last thing he wants to do. A star of hunting videos strives to bond with his 12-year-old son on a wilderness trip but learns familial connections can’t be forced.